Peace of Mind, Strength of Spirit. At Macon Valley Nursing and Rehabilitation Center, we’re not just another nursing center offering nursing and rehabilitative services. 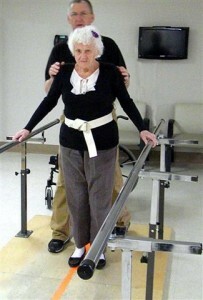 We are a team of uniquely qualified professionals all carefully screened for our nursing and therapeutic talents. Our skills reach far beyond the stringent requirements of being well-qualified health care professionals. We’re responsive to the needs of our patients and their families – trustworthy in our approach and committed to quality care. 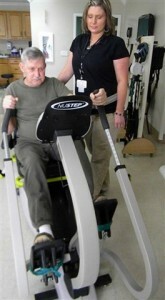 Unlocking the human potential and raising spirits are the focus of Macon Valley Nursing and Rehabilitation Center therapy programs. There is a side of therapy which has nothing to do with muscle coordination or retraining the brain to do daily tasks of communication skills. It’s the human side of therapy – the side of therapy that gives people hope, making them believe they can perform activities which they might have thought were never again possible. It’s all about recovery and a sense of personal accomplishment. We invite you to come by and visit. 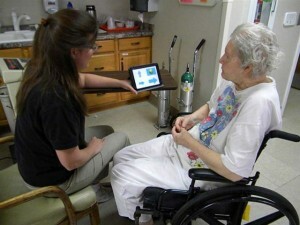 Take a look see why living at Macon Valley Nursing and Rehabilitation Center is an experience to enjoy. 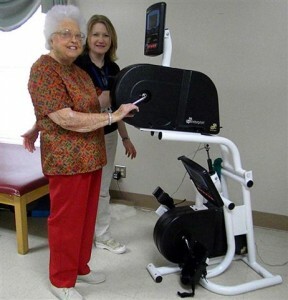 A special part of Macon Valley Nursing and Rehabilitation Center is our short stay rehabilitation program which is designed to prepare the resident to return home at the earliest possible date. Whether your stay is long term or short term, Macon Valley Nursing and Rehabilitation Center meets your medical needs, stressing independence and dignity.